It’s my birthday today – Happy Birthday to me! I love celebrating my birthday and I stand by the reasoning that life throws too many curve balls our way, so if there’s cause to celebrate, grab it with both hands and shake it damn hard. 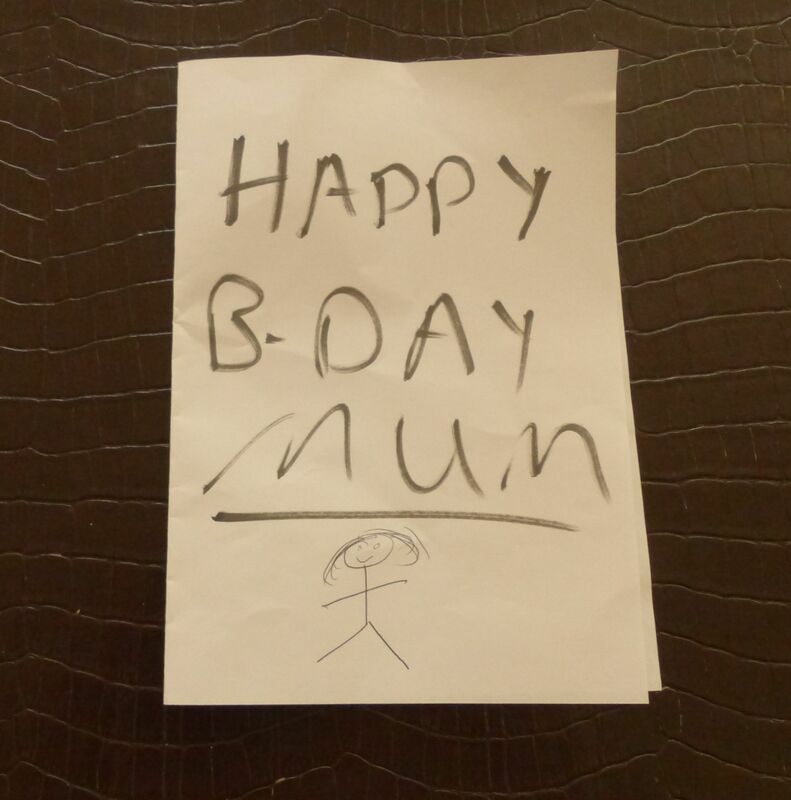 One of my favourite parts of a birthday celebration is getting birthday cards from my children. Or from anyone, in fact. I’ve hoarded a sentimental stash of them from when I was six years old. 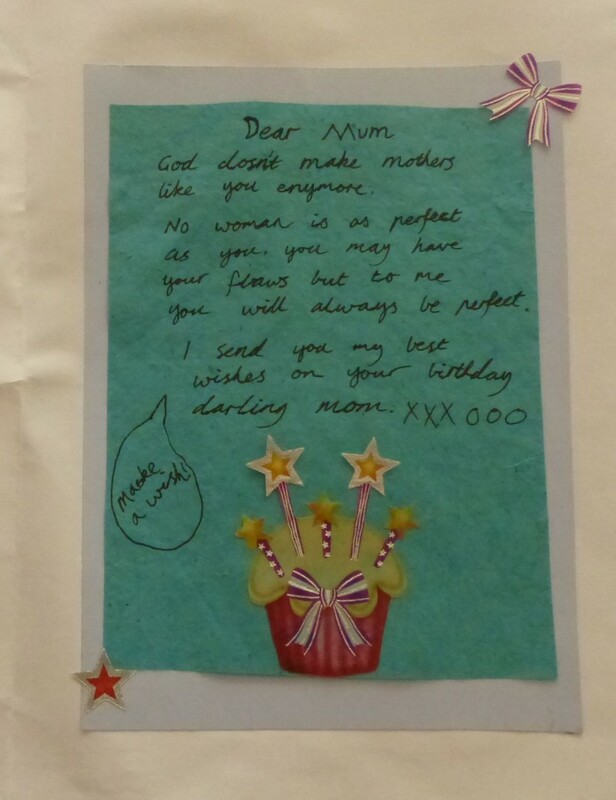 Even better, I’ve forced my kids to MAKE hand-made cards for me for years, and it’s such a treat when they rush into the bedroom in the morning with presents and cuddles, to see what they’ve come up with each year. 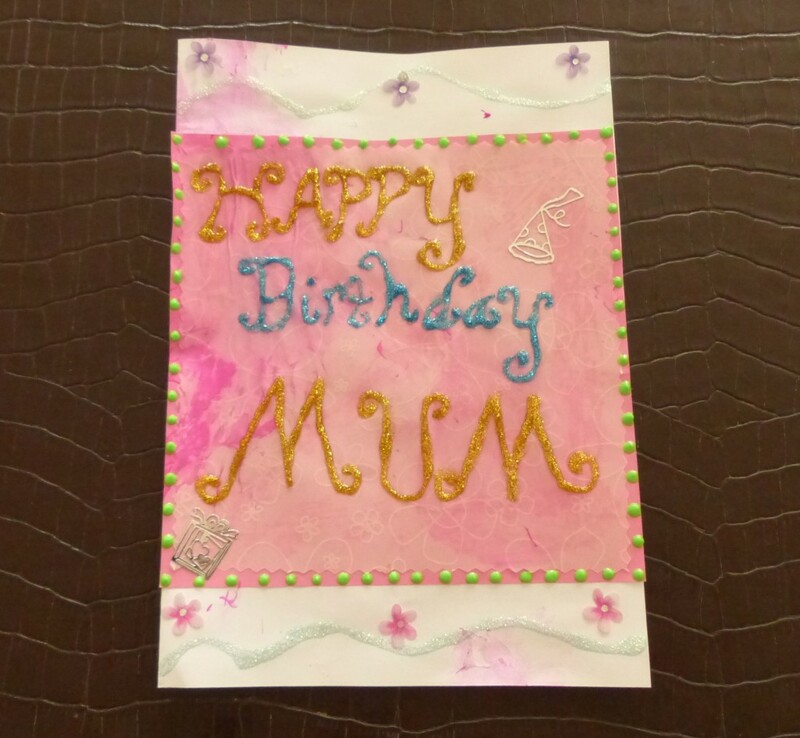 (1) Veronica’s card: She spent hours, painstakingly decorating the paper with glitter glue, cut out textured paper and birthday iconography. Her message inside is also heartfelt and sweet – although open to interpretation. To say that ‘God doesn’t make mothers like you anymore’ isn’t necessarily a compliment – although I do think she meant it as one. And she did also point out that I DO have ‘flaws’. We’ll debate that one later. Tom, on the other hand, went to an ENORMOUS amount of NON-effort. Take a look at this. From a (believe-it-or-not) FIFTEEN year old. Black texta on white paper and a stick figure?? I think it’s actually a clever way of excusing ones self from being incredibly lazy, But it did make me laugh. Given what I am doing for Tom tonight, though, I think I deserved more. I am making a grand sacrifice. On my birthday night, when I SHOULD be celebrating with friends, I am GOING TO CHURCH!!! Yes, ME, going to CHURCH on my birthday! That’s because Tom’s school has very inconveniently organised a house Chapel Service and dinner tonight, without taking my birthday into account. 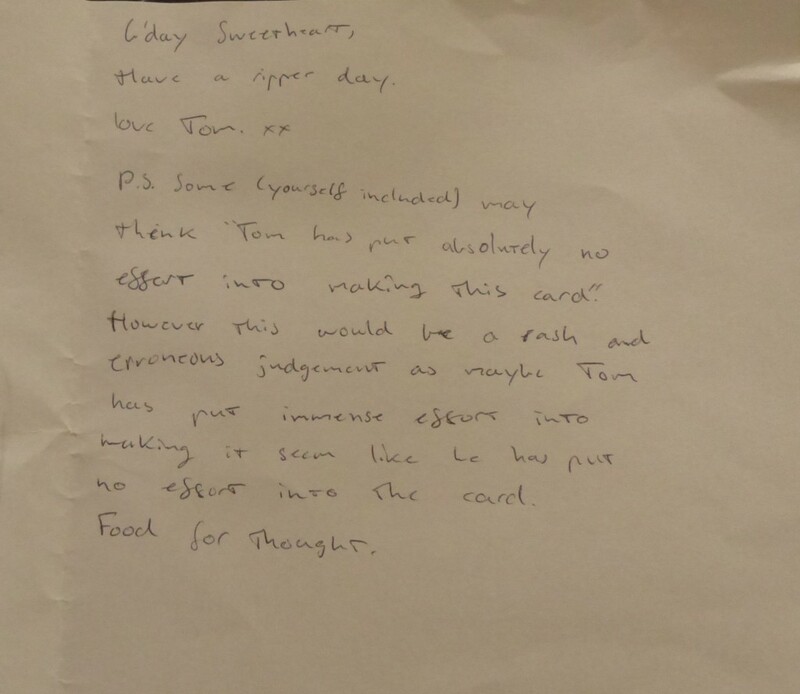 So thoughtless… What we do for our kids… All I can say is that Tom had better come up with a bloody brilliant card next year.